Veterinary students learn surgical skills on the company’s canine simulator. The SynDaver Surgical Canine is designed to breathe and bleed like a real dog. The Tampa, Florida, company SynDaver is touting the fact that its lifelike Surgical Canine simulator is used at three of the nation’s top 10 veterinary colleges. Cornell University, Texas A&M University and the University of Florida placed second, fourth and ninth, respectively, on U.S. News & World Report’s 2019 rankings of 26 U.S. veterinary schools. 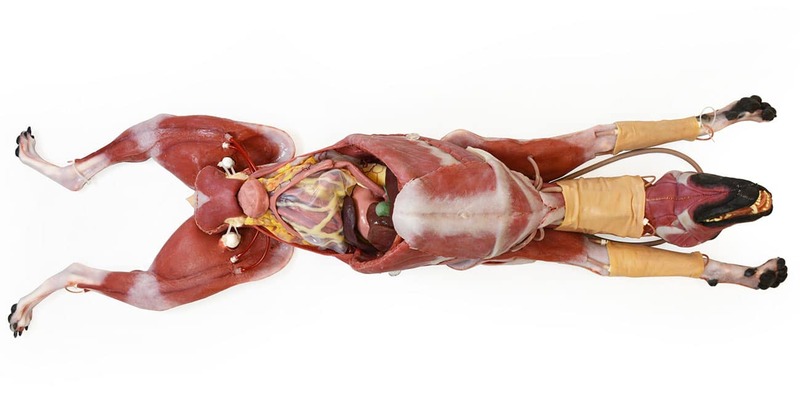 SynDaver’s Surgical Canine model supports 30 different surgical procedures. 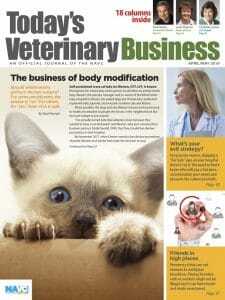 “The model can breathe and bleed similar to a live canine, and it has individual muscles, vasculature, bones, organs (with and without pathologies) and more, with many components being removable and replaceable so veterinary students can repeat surgical procedures until they feel confident in their skills,” the company stated. Cornell assistant professor Galina Hayes, BVSc, Ph.D., DACVS, DACVECC, echoed that view in a university news report last fall. SynDaver models range in price from $17,000 to $32,000, Cornell reported.